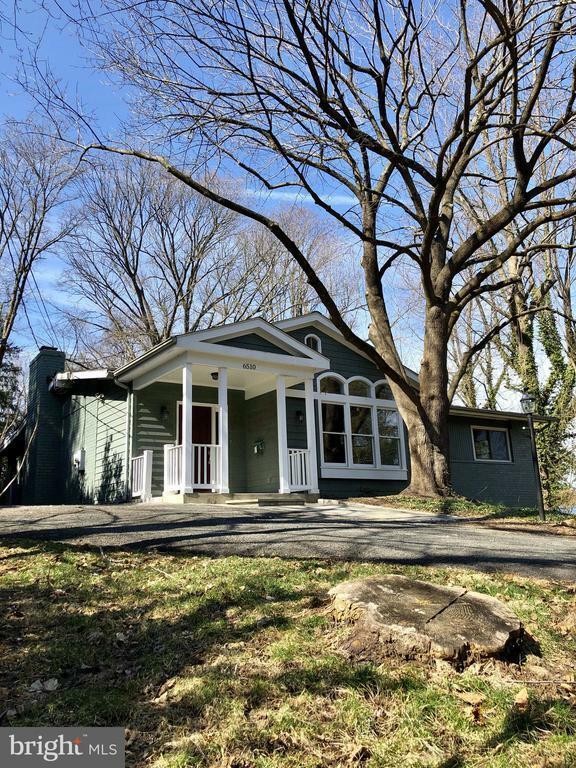 Live in your own nature retreat just 15 minutes from DC! This sun-filled 4 Bedroom, 3 Bath Contemporary sits on a .57 acre wooded lot in sought after Sleepy Hollow Estates. The home offers an open floor plan with gracious room sizes; large picture windows; skylights; gleaming hardwood floors; a fabulous Gourmet Kitchen; and even a roof-top deck to enjoy a birds eye view of the fabulous grounds. Much larger than it appears, this home features 3 bedrooms on the main level, including a large Master Bedroom and Bathroom with double sinks and a large walk-in shower. The full walk-ought lower level features a Recreation Room, 4th Bedroom, large laundry room, work shop and a huge bonus storage area. Pets considered on case by case basis.